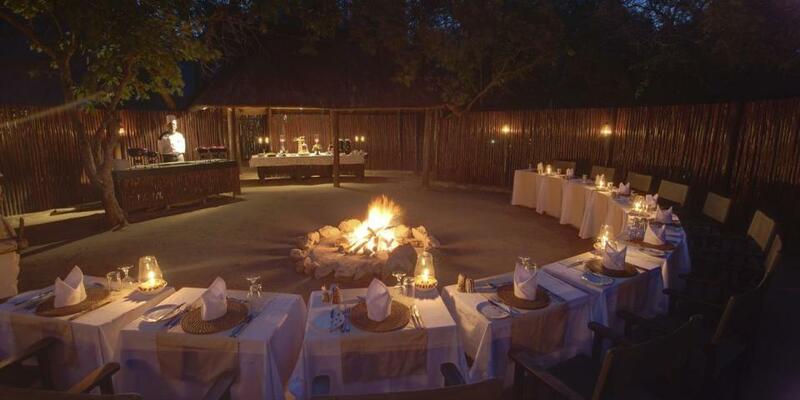 Kapama Buffalo Camp is a traditional tented safari lodge offering a luxurious safari in a romantic setting. 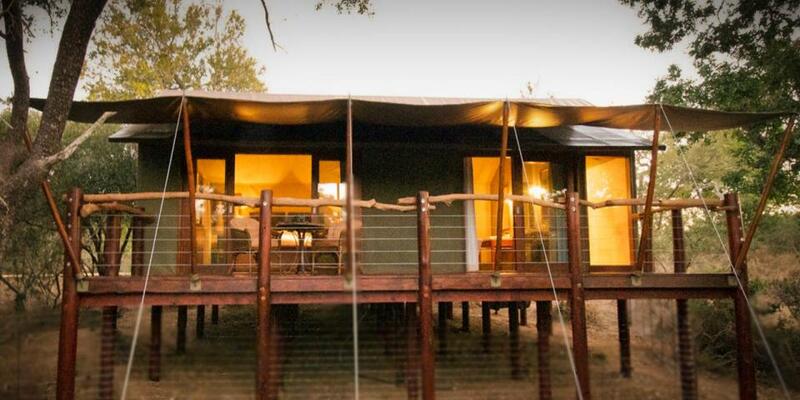 The camp consists of 10 luxury tents built high on stilted decks. 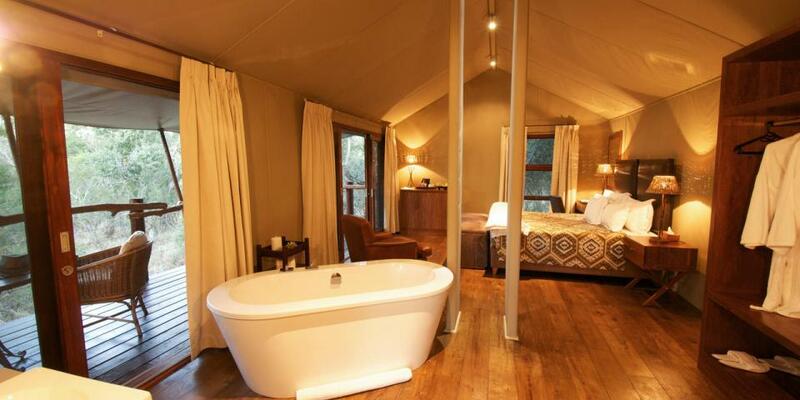 The tents at Kapama Buffalo Camp recall traditional safari camps, with plenty of added opulence. Each tent is equipped with an en-suite bathroom, safe, mini-bar and other amenities that will contribute to a comfortable stay. This comfort is supplemented by the fantastic views over the treetops when you step out of your tent. 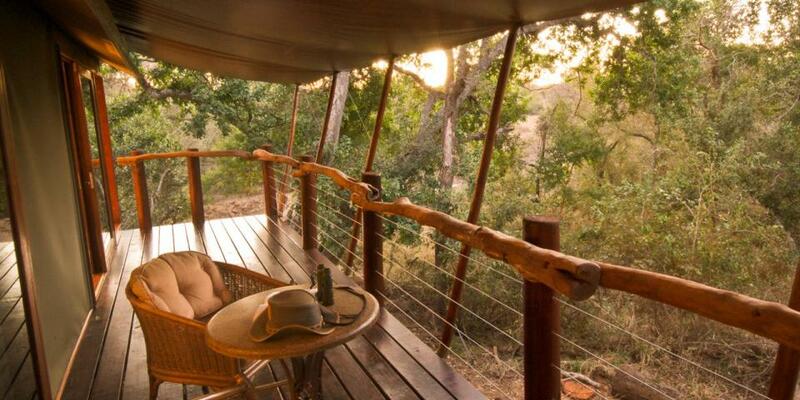 Kapama Buffalo Camp is the reserve’s smallest lodge, catering for a maximum of 20 guests at a time. This makes it ideal for honeymooners. The lodge has a cozy lounge area with a bar as well as a large pool area with a lovely rim flow pool and cozy sun loungers provide for a place to rest in the shade on a hot African afternoon. Overlooking the riverbank, the common lounge area provides an open space for guests to sit back and relax and enjoy the ambiance of the African surroundings. The night sky is filled with light emanating from the rustic lanterns and calls from the wild African animals, together contributing to the intimate ambiance particular to Buffalo Camp. The lodge has a conservation levy of R114 per person per night; this goes toward supporting the anti-poaching units and conservation efforts in the reserve. A selection of local beverages, including alcohol, are included in your stay. Kapama Buffalo Camp is a great alternative for couples traveling together, as the lodge offers a very romantic safari experience and great game viewing; a true African experience you will never forget. 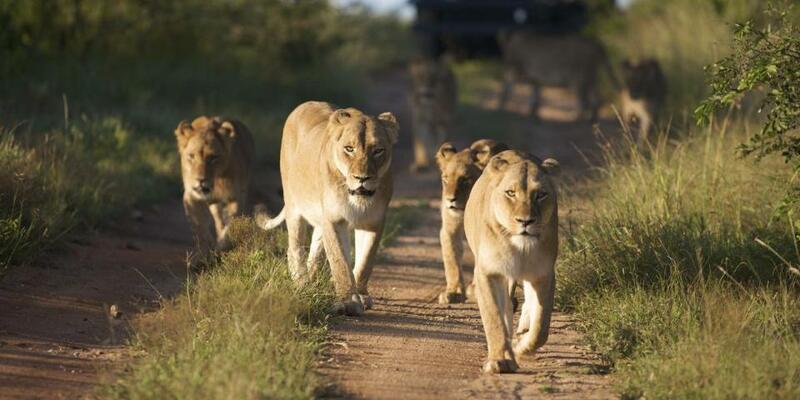 Want to see Kapama Buffalo Camp as part of a trip? 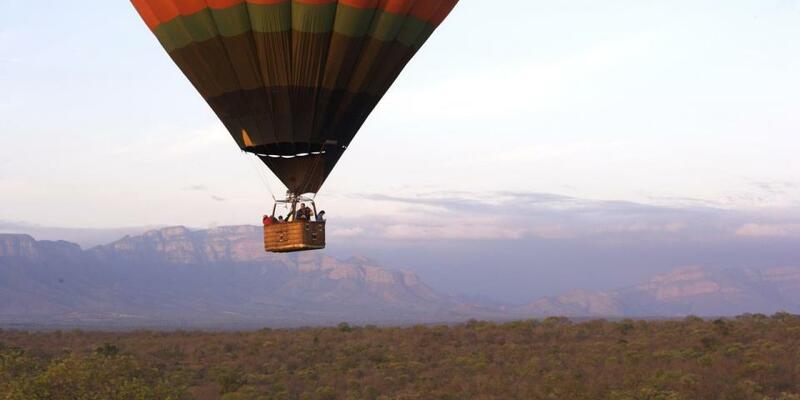 Enquire today to let us help build your holiday.